You wanted, you got it. 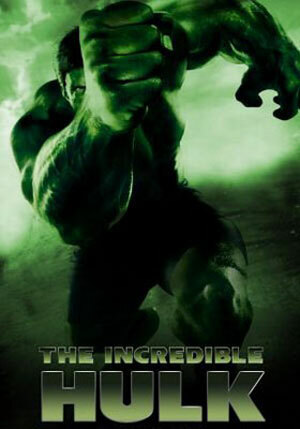 The Incredible Hulk will be released June, 13. Edward Norton takes on the green man with Tim Roth as his nemesis, The Abomination, in this latest digitally-improved Hulk incarnation. According to the source, this flick promises “more action than the last Hulk movie and a less convoluted backstory about the big green guy’s origins”. Tagline:On June 13, get ready to unleash the beast. Plot: Fugitive Dr. Bruce Banner must utilize the genetic accident that transforms him into a giant, rampaging hulk to stop a former soldier that purposely becomes an even more dangerous version. The Hulk has arrived. Sort of. Filming for The Incredible Hulk, the next cinematic take on the rage-filled giant of Marvel Comics fame, began in Trenton yesterday. But don’t look for any towering superheroes or explosions: the actual Hulk is an entirely digital character, and scenes being shot here are relatively quiet. The loudest noise is likely to come from the Bell 212 Twin Huey helicopters rented by the production team. “We’re thrilled to be here,” executive producer Jim Van Wyck said yesterday during a brief interview. The first scene was being filmed near the passenger terminal along Highway 2 at the base’s eastern limit. Crews were planning to be shooting between about 3 p.m. and 3 a.m. both yesterday and today. “We’re getting some footage of Hummers and commandos coming through a gate,” Van Wyck said, as extras in green camouflage milled around near the crew. He said the Trenton shooting will amount to “probably about five to 10 minutes” in the final feature and involve mostly shots on the runway, with some filming happening inside a Canadian CC-130 Hercules air transport. He added that comes with its own challenges. “The biggest thing is we’re inside a restricted area and so we need constant help from the base, and they’ve been incredibly supportive and helpful,” he said, giving special recognition to Capt. Nicole Meszaros, a public affairs officer at the base. The movie stars Edward Norton as scientist-turned-superhero Bruce Banner and Liv Tyler as Betty Ross, Banner’s girlfriend and fellow scientist. William Hurt takes over the role of her father, the Hulk-hunting Gen. Thaddeus “Thunderbolt” Ross. Tim Roth is Emil Blonsky, who in the comic books becomes the supervillain known as the Abomination after exposing himself to the same radiation that unleashed Banner’s inner Hulk. Of the major players, only Hurt and Roth are here. Neither was on the set for yesterday’s initial shot. The extras, meanwhile, are playing U.S. soldiers. “Pretty much everybody is from this area,” said Van Wyck. Marvel’s typically secretive security on the set makes even the base’s usual military restrictions seem easygoing. All photography apart from production stills is banned, and Van Wyck said apologetically that very little can be said about the actual plot. “All I can tell you is he’s still being pursued,” he told The Intelligencer last month. “The Hulk is a good soul. He’s a defensive creature. The devastation, however, is being saved for locations such as Toronto and Hamilton, where the pyrotechnics will be used. No such special effects are being shot in Trenton, Van Wyck said. This entry was posted on May 29, 2008 at 9:39 am and is filed under Movies with tags movie review, the incredible hulk. You can follow any responses to this entry through the RSS 2.0 feed. You can leave a response, or trackback from your own site.